When I was in fifth grade I remember interminable arguments about stuff that really mattered. 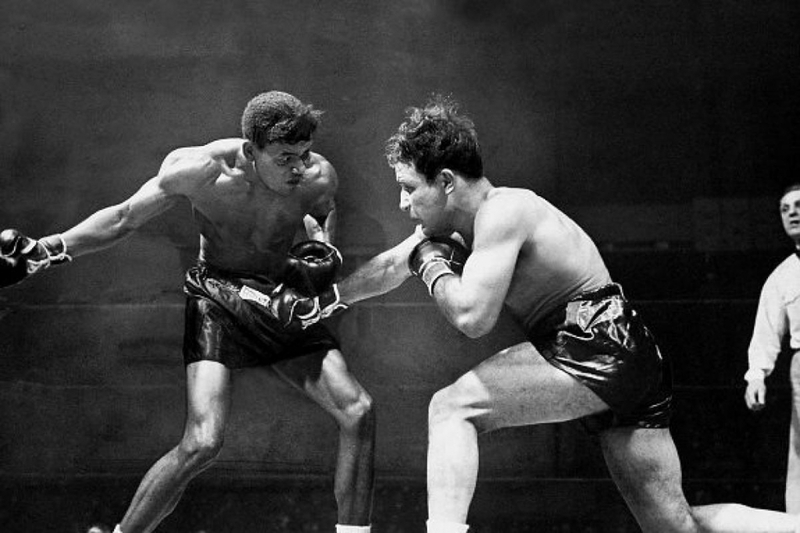 Was Sugar Ray Robinson a technically better boxer than Muhammad Ali? 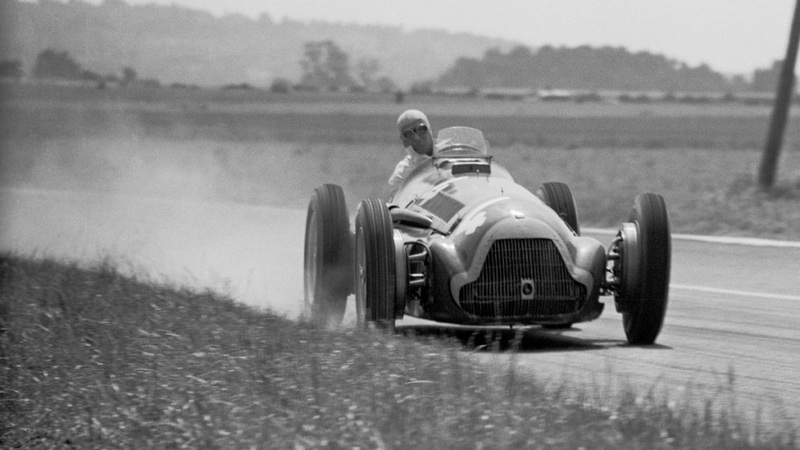 Could Stirling Moss beat Fangio if he had a better car? 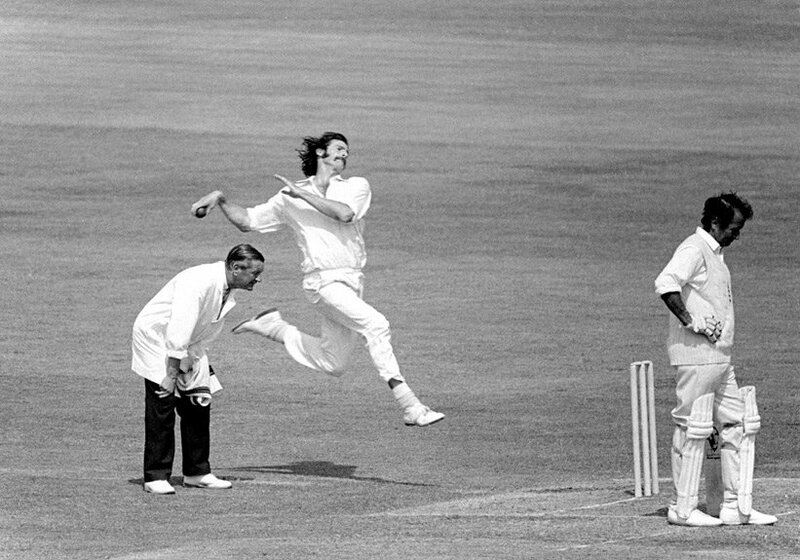 Is Dennis Lillee the best fast bowler in the world? If you don’t remember these conversations it is probably because you were never a boy. Or didn’t make it to fifth grade. Men are basically overgrown boys and we continue to have arguments about stuff that really matters. These are arguments that are too complex for Google to even think about resolving. 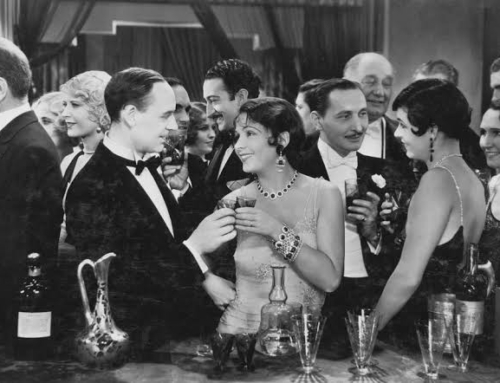 Arguments like whether a martini is better shaken or stirred (neither – just freeze the alcohol). Or arguments about whether you can make a proper cocktail while skydiving with a friend? Thankfully we are able to resolve the latter argument, to the joy of overgrown schoolboys everywhere (and the befuddlement of their wives and girlfriends – “you really care about that?”). Take a bunch of overgrown British schoolboys with redundant military skills, thrown in some loose change and think of the most ludicrous challenge possible – and you have a riot. 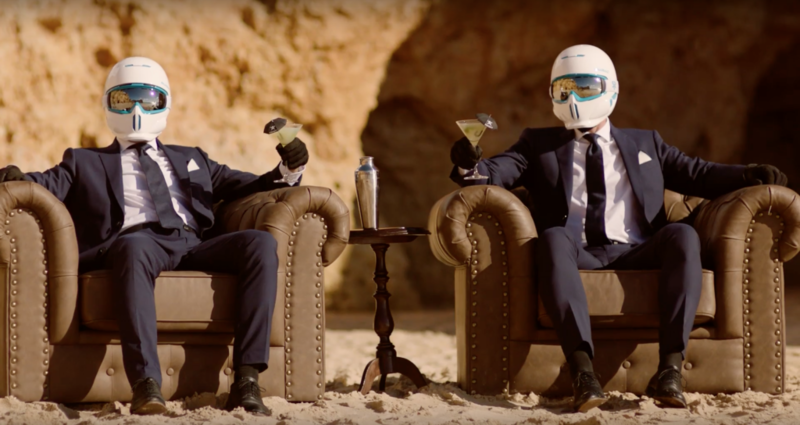 The British clothing brand Hackett has developed a crease resistant, waterproof suit and wanted to have someone mix a cocktail wearing it in a suitably challenging environment. Personally I don’t see the point of a waterproof suit. Why wear a suit at all if you can’t afford an umbrella and a taxi? However, the folks at Rubber Republic love to take on this kind of challenge. Rubber Republic consists of a group of seriously creative fetishists who liked to dress up in rubber. 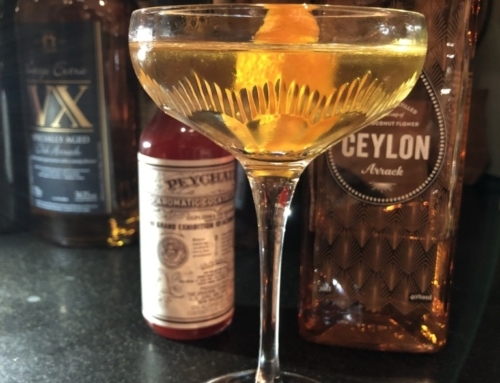 They can also make one hell of a cocktail – while skydiving. 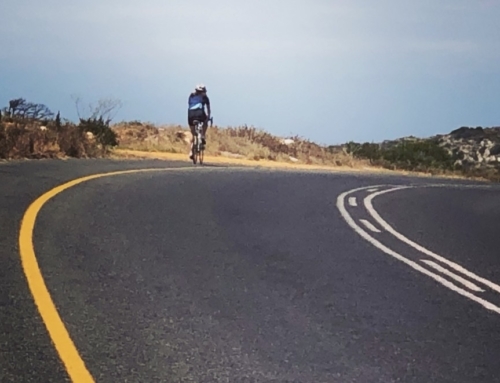 Watch this – it is awesome! Shake all the ingredients with ice, strain into a chilled cocktail glass and garnish with a slice of lime. The original recipe may have actually used Rose’s Lime Cordial instead of the fresh stuff, in which case you can omit the sugar. 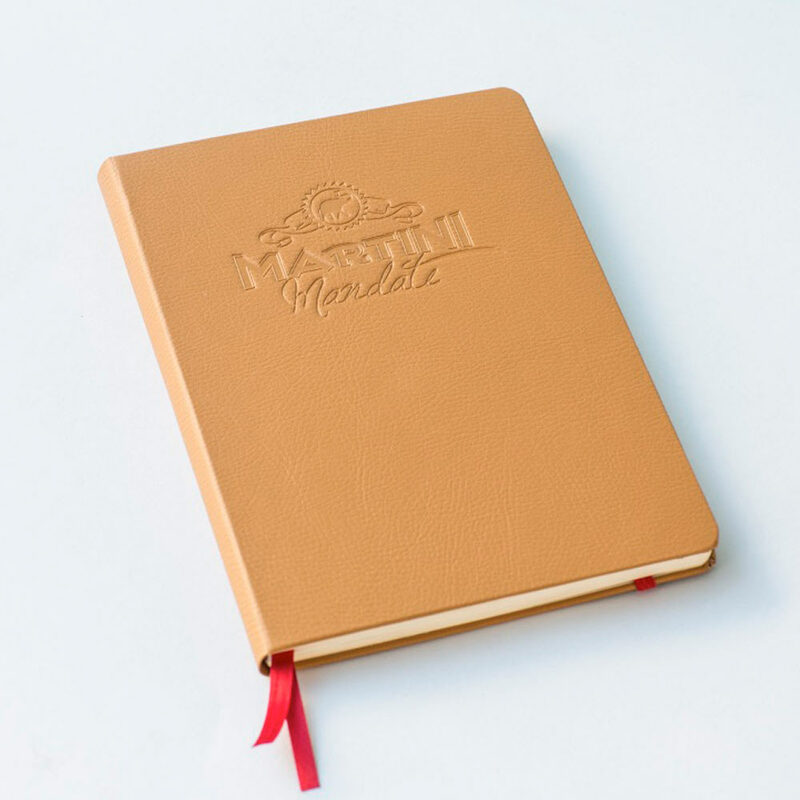 The stylish Martini Mandate ruled notebook includes seven gloriously illustrated cocktail recipes interspersed throughout its 192 pages. Perfect for Martini aficionados!